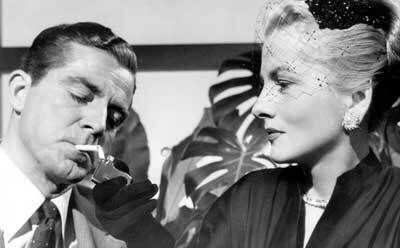 This entry was posted in 1950's, Film Noir, Film Reviews, Fritz Lang and tagged Dana Andrews, Fritz Lang, Joan Fontaine. ← New Website! New Blog! I haven’t seen this one, but I like the sound of it. Not exactly plausible but seems tight and tricky enough to be interesting. And it is Fritz Lang. I enjoyed your write-up, John, the interesting behind-the-scenes details as well as your take on the film and Lang’s career at this stage. Thanks Eve, I agree, dedication to a job or a cause only goes so far. Putting yourself through an ordeal like prison is something I cannot understand. It’s a good film and if you like Lang you will like this for sure. 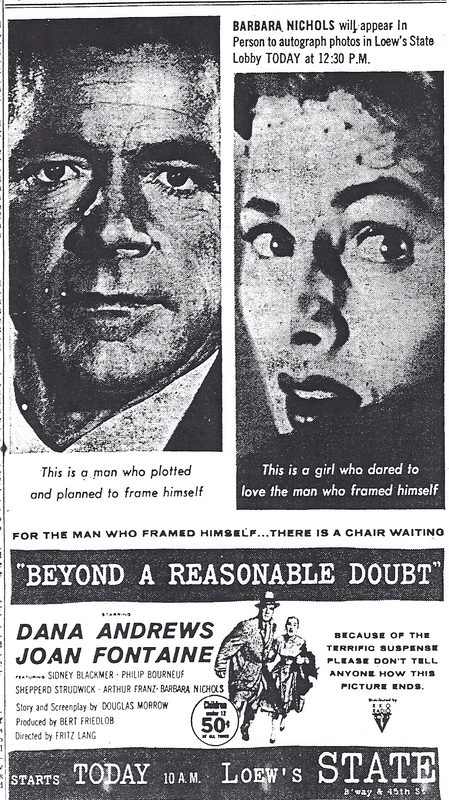 John, I’m a Lang fan and–though BEYOND A REASONABLE DOUBT has its flaws–I’ve always loved the premise and the twist ending caught me by surprise. A lead other than Dana Andrews would have definitely improved the film (the same can be said for CURSE OF THE DEMON, which was made around the same time). Have seen Fuller’s SHOCK CORRIDOR (and the similar SHOCK TREATMENT) and liked Lang’s film better. 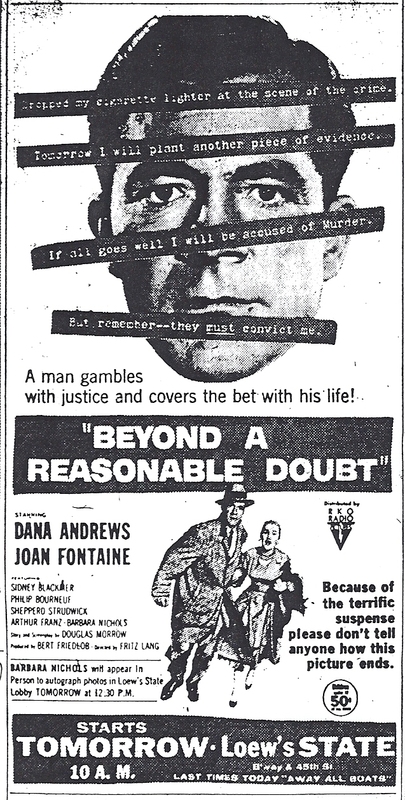 I haven’t seen the 2009 remake of BEYOND A REASONABLE DOUBT…but it’s available on-demand from my cable system…so your review has inpired me to watch it. I am with you here. The film has its flaws but having seen it a few times, I have to admit enjoying it each time. The twist ending does work, at least the film time. Good to hear you are a Lang fan! Thanks! Indeed John! I saw this film for the very first time at the Fritz Lang festival several months ago as part of a double feature with FURY. I knew Lang was at his wits end, but haden’t know the specifics with Andrews as a hopeless alcoholic. The film has an odd way of keeping you riveted, and seeing it for the first time one is stunned by the conclusion. Yeah, there are some convolutions, but in the end they are negligible. Agree with you here for sure Sam. Interesting story that keeps you going enough that you forgive the problems. Thanks again, sir!